In a startling move, the Boston Breakers sent 2014 Goalkeeper of the Year Alyssa Naeher to the Chicago Red Stars for defender Whitney Engen on Monday. The trade, which also sent the Breakers’ 2016 third-round pick (22nd overall) to Chicago while the Red Stars dealt their natural 2017 second-round pick to Boston, signals the end of a remarkable, five-year run for Naeher in Boston. The Bridgeport, Conn. native was a mainstay in the back for the Breakers going back to their WPS days. Earlier this year, she was called by the U.S. up for her first Women’s World Cup, which the team won for the first time in 16 years. Meanwhile, the Breakers get a World Cup winner of their own in Engen, who played every game for the Red Stars in 2015. Engan played for Breakers head coach Matt Beard in 2013 while both were at Liverpool LFC. 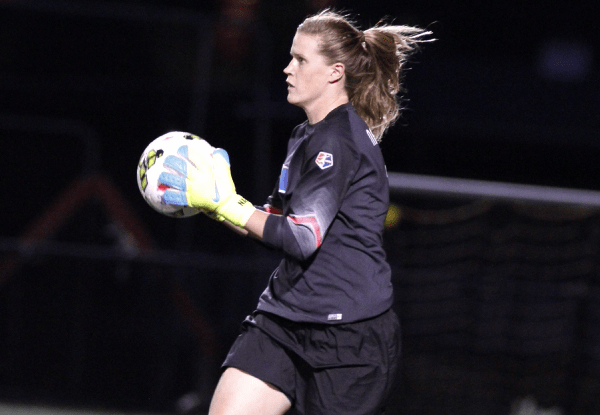 With Naeher Chicago-bound, the Breakers acquired another former Liverpool LFC product in goalkeeper Libby Stout, who played for Beard between 2014 and 2015.